Ven. Constance Miller Returns to Knoxville! The suggested donation is $40 for the weekend, or $10 per session for those only attending a few sessions. As human beings we all have immense positive yet unfulfilled potential for great goodness and clear wisdom. The Buddha’s teachings offer us a clear road to follow — from a state of confusion and unhappiness to one of greater clarity, kindness, and satisfaction in life. These positive qualities come from working with our minds — our attitudes and emotions — in order to affect a deep and lasting inner transformation. Through teachings, meditations, and discussion, this weekend course will explore how we transform our minds by following a gradual path to full awakening, step by step, as individual practitioners. Where we start, what comes next, what comes after that, and so on. 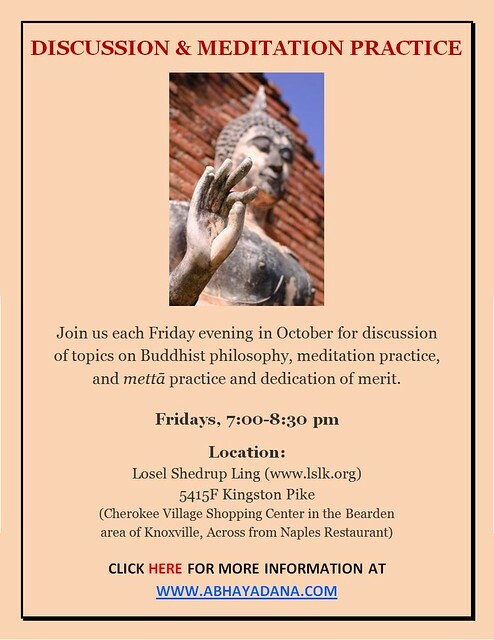 Venerable Constance Miller is an American nun in the Tibetan Buddhist tradition. Ordained by Kyabje Zong Rinpoche in 1978, she has been teaching Buddhist philosophy and practice in FPMT (Foundation for the Preservation of the Mahayana Tradition) centers in Europe, Asia, and America since 1982. She helped Lama Thubten Yeshe establish the project entitled Universal Education and served as its director for a number of years after its inception. From 1992-96 Ven. Connie was responsible for the editorial department of Wisdom Publications, Boston. 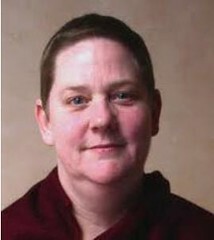 Starting in 1996, she served in the Education Services department of the FPMT’s International Office, serving as the Education Materials Coordinator from 1998 through 2002. She continues to work actively on Universal Wisdom Education (formerly Universal Education). She is currently working full-time as an editor for the Lama Yeshe Wisdom Archive.